Every year the number of couples throughout the Globe willing to have a destination wedding is increasing greatly. The reason is very simple: people travel much. In a trip a couple can point some destinations for possible ceremony or wedding party abroad. And further in case feelings remain and the couple is still together it happens. Brides turn their ideas into life. And I’m happy to boast that so far I have captured more than 100 couples and their events in more than 15 countries. It is a pleasure to be able to combine two passions in one: desire to travel and ability to take luxurious wedding photos. Most of the destination marriages I worked on are available here in my blog. If you are ready to take a shower of various countries’ traditions and gorgeous photos you are welcome to discover my photo catalog of destination wedding projects in Europe and the whole World. Destination wedding in Czech Republic. Several years ago Prague became marriage capital of Europe, because thousands of people willing to leave together in a family come here in order to get married. Wedding season usually takes place between April and October, but anyway you need to book a castle or a town hall for registration at least in 5-6 months advance period. Thus you are sure to get what you need. By the way, what concerns castles, there about 100 available in Prague and throughout Czech Republic. Such great popularity of region with brides made a push for increased number of wedding agencies, but unfortunately not all of them offer the service they promise. Therefore I would warn you to be fussy while choosing your wedding planner in Prague and Czech. More information on the issue you may get on wedding in Prague page. Wedding in Italy. To my mind, this country has huge options for a couple to organize a very romantic destination wedding. There are several locations in Italy that are extremely popular with brides from all over the world. Among them are Rome, Venice, Florence, Lake Garda and gorgeous Capri Island. Due to warm and very comfortable climate luxury destination wedding or pre wedding photo shooting in Italy can be held even in winter. 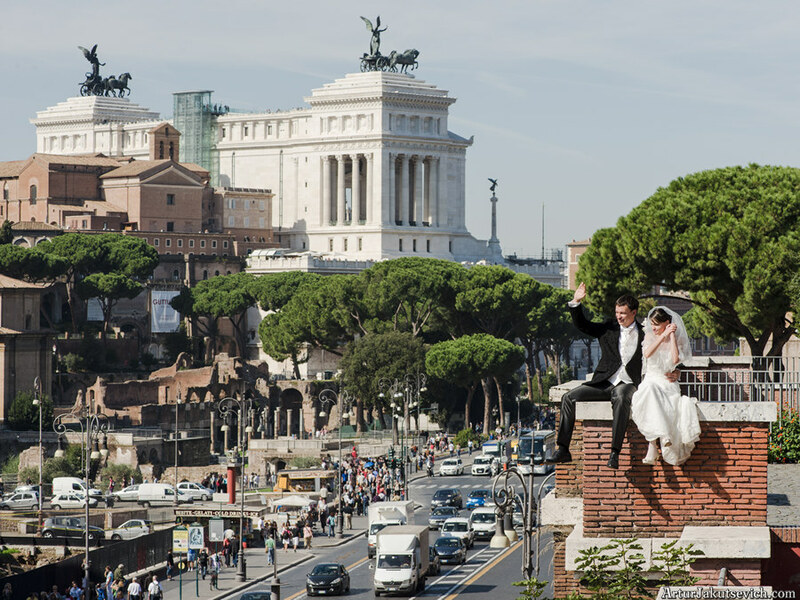 Find more Italian destination venues, wedding and love stories in the article Wedding in Italy. Wedding in Spain. When I hear the name of this country I immediately associate it with gorgeous Barcelona. The city is incredibly interesting with stunning architecture and sights. Moreover it gives the brides full freedom of choice, since Barcelona and Spain has quite big variety of locations and options for your luxurious destination wedding come true. There is a long line of beaches, hotels and spa resorts with high quality service, where you can stay and have the ceremony as well. The choice fully depend on brides’, whether it will be a symbolic wedding or a huge big day party in Spain. Wedding in Singapore. 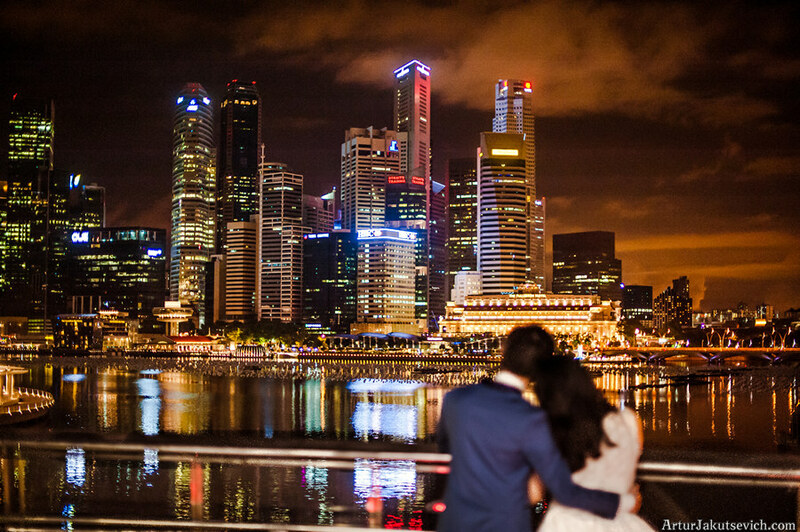 Winter 2012 brought me another destination wedding location to my photo portfolio — Singapore. Almost all the citizens are chines, therefore wedding ceremonies are held with all ancient traditions and customs. Morning starts with tea ceremony at the bride’s place and after it continues at the groom’s house. But there is one significant difference between chines and weddings in Singapore: there are no fireworks in Singapore allowed even at the big day, when in China they let people know about new family being born with help of huge colorful flashes high in the sky. Wedding in Germany. This is a live example of a bright and super beautiful ceremony wedding ceremony held according to all European traditions. Basically after the brides are ready, they go to church, where quite long ceremony takes place. The priest utters prayers and speaks a lot to the brides. Between the prayers guests sing religious songs. Usually the whole procedure takes about an hour or even more. After the ceremony starts the party. Sometimes brides ask the catering company to serve the dishes in form of buffet in order the guests don’t sit the whole evening, but also move and join the dancing part of the party. One more significant feature, which I noticed at German weddings, is that they are keen on super cars. This article is not complete until wedding in all the countries of the globe are described. 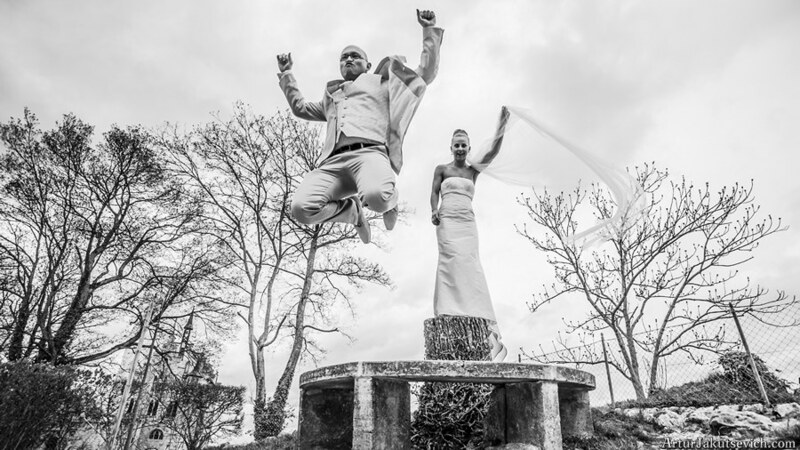 Therefore if you are interested in information about destination wedding locations in Europe and throughout the World, keep in touch and stay updated with latest information about luxury wedding photography by Italian photographer based in Rome Artur Jakutsevich.